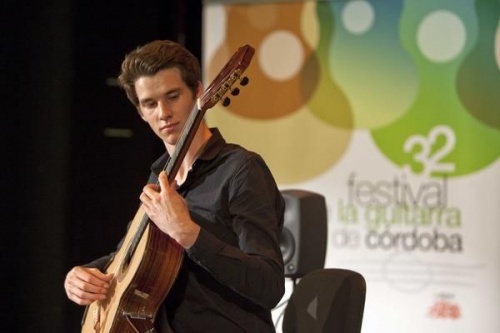 CLASSICAL guitarist Callum Henshaw will be giving a recital as part of his PhD process tomorrow, in the Larry Sitsky Recital Room at the ANU School of Music. Henshaw is already one of our proudest musical exports, having carried off first prize in the 2012 Cordoba International Guitar Competition and the 2014 Tirana International Guitar Competition, as well as a swag of Australian prizes. Canberra-born, he started playing guitar at the age of six and has learned from a number of talented teachers, including Carolyn Kidd, Daniel McKay and Minh Le Hoang, then took out first class honours at the ANU under guitar performer and teacher, Tim Kain. He performs regularly at the School of Music and has performed three times at the Canberra International Music Festival. Henshaw has taken part in master classes with many of the world’s great guitarists including Pavel Steidl, Carlo Barone, Sergio Assad, Carlo Domeniconi and Ricardo Gallén. He has held teaching positions in primary, secondary and tertiary educational institutions throughout Canberra, providing instruction to students of all ages. Tomorrow’s program will include works by Coste (France), Koehne (Australia), Barrios (Paraguay), Ponce (Mexico) and Llobet (Spain). 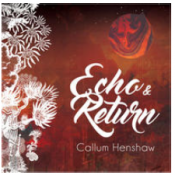 “Music is valued, music is necessary, music is for everyone,” say the enthusiastic Henshaw, adding that half of the program tomorrow will feature works on his new album “Echo & Return”.